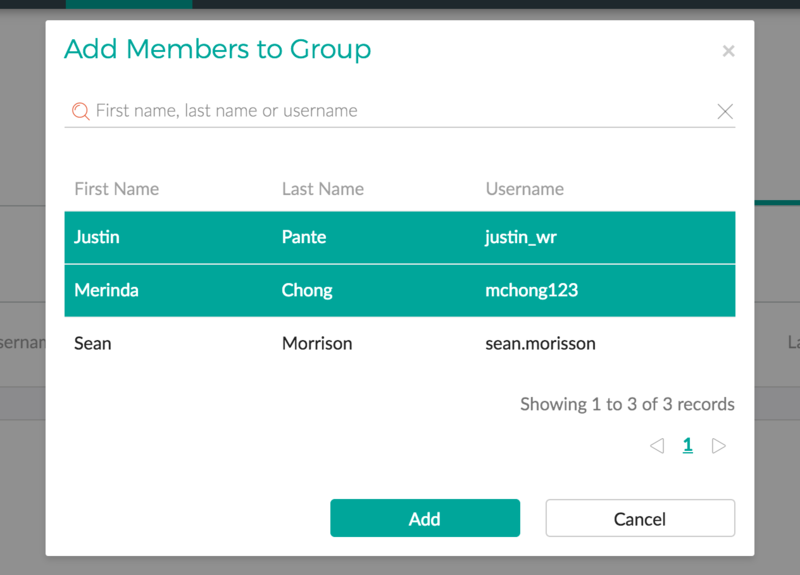 To edit an existing group’s name, select the group from the group's list. Parent Group - This is the parent group this group should belong to. If changed, your group will become a subgroup. Supervisors - A list of users who can manage and report on members of that group. Select the Members tab on the group profile page to view the members of the group. Selecting the Add Member button. In the Add Member popup select the members you want to add and select the Add button. On the member list, view the options for a user by selecting the three dots on the right of the row. Once the menu opens, select the Remove from Group option in the list. 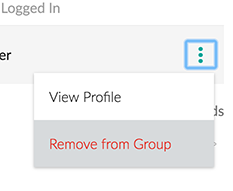 Remove a group by selecting the delete group button in the top right-hand corner of the group profile page. Deleting a group will remove all automatically scheduled rules applied to that group. Deleting a group will not remove related users from the system. You cannot delete a group that has subgroups. 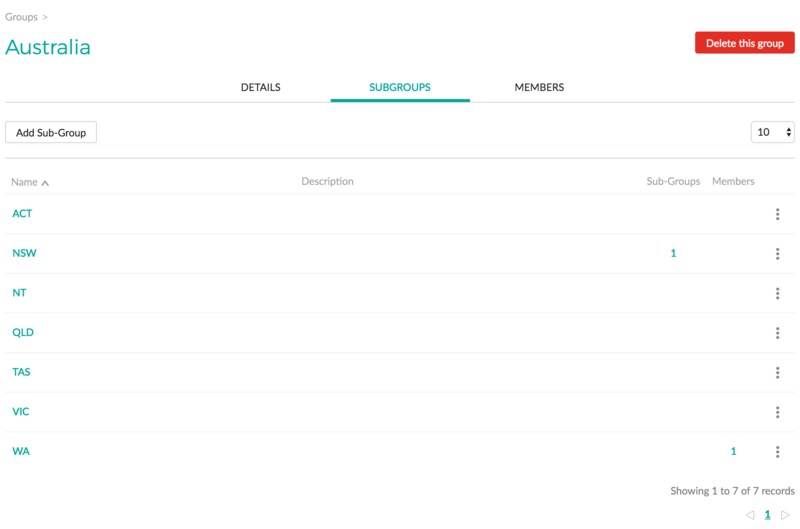 Select the Subgroups tab on the group profile page to view a list of subgroups that are set up.